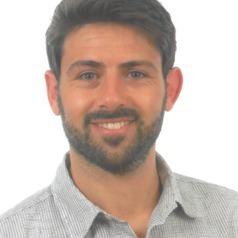 I am a Ramón y Cajal Fellow at the Universitat Autònoma de Barcelona as well as a visiting research fellow at the Max Planck Institute for the History of Science. I received graduate training at the Universidad de Sevilla (Philosophy) and Cornell University (STS) and in 2011 earned a Ph.D. in History from the University of California, Los Angeles. Those were the first seeds of my first book, Engineers and the Making of the Francoist Regime (The MIT Press, 2014), which is an example of the significance of the history of science and technology for producing more accurate understandings of political economies. It shows that scientists and engineers participated actively in building the Francoist state and links the technological transformation of concrete urban and rural landscapes to forced industrialization, national–Catholicism and the Opus Dei, conflicting autarkies, the transition from the corporate to the regulatory state, and European integration. My second book, Los Ingenieros de Franco. Ciencia, catolicismo y Guerra Fría (Crítica, 2017), extends the argument to scientists and international relations, thus rewriting the history of the only current African colony (Western Sahara), the Gibraltar conflict, nature conservation in Spain and Europe, and strategies against energy dependency. For almost three years, I was a postdoctoral research fellow at the Universidad Autónoma de Barcelona’s Centro de Historia de la Ciencia as part of the ERC project "The Earth Under Surveillance," devoted to exploring the connections between transnational Cold War developments and the geophysical sciences. I am currently Research Scholar at the MPIWG, where I endeavor to bring together the history of Cold War oceanography with the changing meanings and technologies of hearing underwater. As a Ramón y Cajal fellow in Barcelona, I focus on particular on the Strait of Gibraltar as a chokepoint for global scientific, strategic, and environmental history.